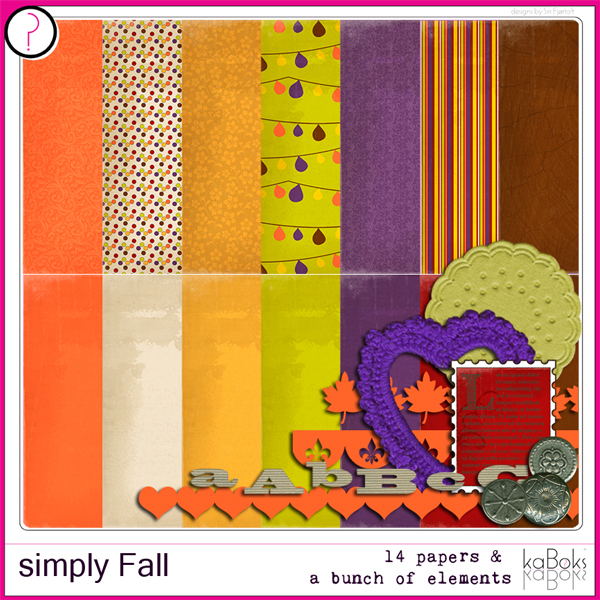 Time to share some more goodies! And I´m still counting down (or up) for the time to announce the candy. It´s getting closer every day! 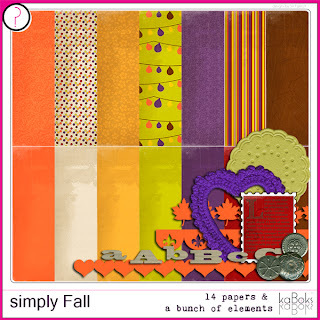 Todays freebie is my simplyFall mini kit that two lucky winners got in the first blog hop. Again, I would love for you to comment if you download it. I will aslo give away some other files (that are not available on my blog) to everyone that sends me a link/"photo" of something they have created using my stuff. Last time, someone had trouble dowloading the kit as one file, so I have divided it into two parts.